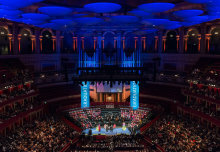 We asked graduates from the MSc programmes in Genomic Medicine, and Genes, Drugs and Stem Cells, what they thought about their time spent at NHLI. 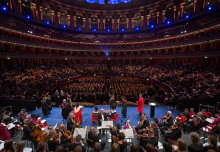 Imperial’s undergraduate graduation ceremony, Commemoration Day, is one of the biggest and most anticipated events in the College’s calendar. 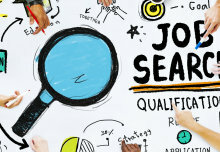 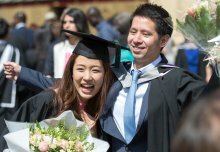 19 June 2018: The Imperial Careers Service is here for you throughout the summer! 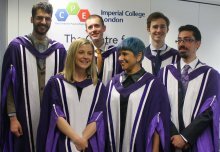 To mark this year’s Postgraduate Graduation Day, students from the Department of Medicine shared their experiences of postgraduate life at Imperial. 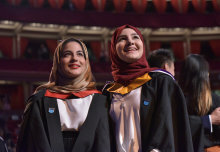 More than 3,500 proud graduands from over 60 countries attended today’s ceremonies in the Royal Albert Hall to receive their postgraduate degree. 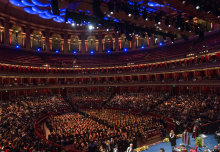 Professor Alice Gast encouraged graduands to work with their communities to "inspire hope and confidence" at today's Commemoration Day ceremonies. 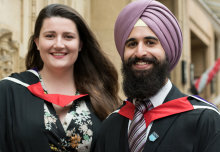 PE-CDT Cohort 7 students graduated from their MRes, and several alumni returned for PhD graduation. 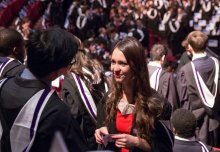 Imperial will mark the achievements of more than 3000 new engineers, doctors, scientists and future business leaders at Postgraduate Graduation Day. 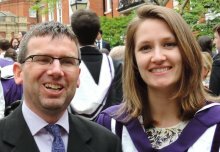 Congratulations to Dr Abby Casey, PE-CDT Cohort 3, on winning the RSC Energy Sector PhD Thesis Award 2016!